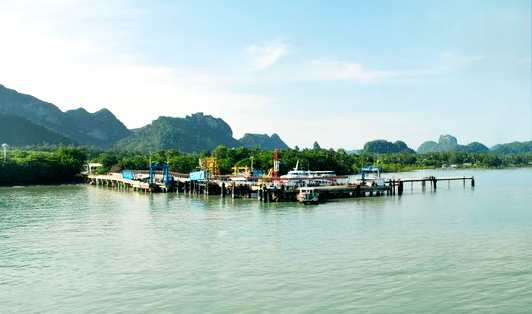 Donsak Pier is located 40km south of Surat Thani and it is the exit port for many travelers heading to Koh Samui, Koh Tao, and Koh Phangan. The pier has an amazing traditional restaurant serving delicious Thai food at very cheap prices to indulge yourself while waiting for your ferry. There are also several ATM machines and a TV. Note that you won’t be allowed to access the ferry boarding area until the incoming cars and passengers have fully disembarked.